Blocked Drain Cambridge is a 24 hour emergency specialist drain service, working in all areas around Cambridge. Our team of dedicated drain engineers work around the clock to provide you with the best service for the best price. Blocked Drain Cambridge have years of experience in the field and are fully equipped with the latest technology and equipment to tackle any job, big or small. A blocked pipe can pose a serious health risk to you and everyone that lives at the property, so it is important to call Blocked Drain Cambridge as soon as you notice the warning signs of a blockage. You may have noticed the water rising in your toilets, or a foul odor coming from your drains. Whatever the problem, don’t hesitate to call today. Most blockages can be cleared swiftly and efficiently using manual rodding, but for the more serious blocked drains a more appropriate method to use is high pressure water jetting. Blocked Drain Cambridge use powerful equipment that can thoroughly clear any drain and leave it in excellent condition, and we always make sure to use preventative methods so that you will be less likely to face another blockage, saving you time and money. When Ken discovered a blocked drain in his bathroom as a result of a build up of foreign objects that had been incorrectly disposed of, he called Blocked Drain Cambridge. Our team were able to respond to the call quickly and his drain was cleared using high pressure water jetting, due to the stubbornness of the blockage. Blocked drain Cambridge have over 20 years experience, and over those 20 years we’ve picked up some skills and extra services on the way, both from through being on site, and even learning from other people in the trade. Blocked drain Cambridge is dedicated 24/7 365 days of the year to unblocking your drains and various other drain and plumbing related service, and what’s more is that blocked drain Cambridge get to you fast in an emergency. Here at blocked drain Cambridge we think doing it different to the rest doesn’t have to always be a bad thing, and that’s why blocked drain Cambridge doesn’t focus on catchy adverts and slogans and jargon and marketing buzzwords, we rely on providing a good service that people can trust to be there for them as soon as they need it 365 days a year even on bank holidays and weekends. Blockages don’t stop for bank holidays and neither do blocked drain Cambridge. Call blocked drain Cambridge today and speak to one of our trained advisors about how we can help you clear a blockage, fix your drains, or just help you better maintain your existing drains in the hopes that you never have to have them replaced. Call now and speak with us today! High Pressure water jetting has been around from the mid to late 1800s when it was used in the mining industry for cleaning purposes, and then much later in the 1930s in the metal industry for cutting steel, where the pressure of the water sometimes reach 20000 psi. High pressure water jets have since been used by the fossil fuel industry when they need to clean wells and machinery when other methods of cleaning prove difficult or in some cases impossible. HPWJ doesn’t require ripping up pipes which more intrusive methods may require, this also makes HPWJ much more cost effective than other methods. Secondly some companies use harmful corrosive chemicals to clear drain blockages but these can damage your pipes and be unsafe for the environment, whereas HPWJ uses only water at a pressure that won’t cause damage to your pipes. Lastly HPWJ can be used in maintaining clear pipes and not needing emergency call outs Blocked drain Cambridge would advise twice a year for the most effective results. Taking precautionary steps such as making sure to always dispose of nappies, baby wipes, and sanitary products in the bin rather than flushing them down the toilet can significantly reduce the chances of encountering such a serious blockage. Don’t delay in calling Blocked Drain Cambridge as soon as you notice anything wrong with your drainage systems. Blocked Drain Cambridge is a specialist 24 hour emergency drain service, working in all areas around Cambridge. Our team of professional drain engineers work 24 hours a day 7 days a week, and are fully equipped to handle any task. Long lasting resolutions and prevention of issues that are reoccuring is part of our action plan. With a trusted and reliable blocked drain Cambridge team on your side, you’ll be ready to face your day head on. 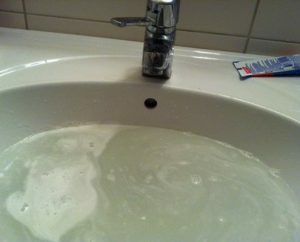 Without the additional frustration of slow and annoying drains. Outdoor or indoor drain services are priced competitively and you’ll have the latest technology on your side. Wielded by a staff full of experience and knowledge in the area. You can trust this dedicated blocked drain Cambridge to always ensure that your solution is one that is put in place for the long run. Merit is what our good reputation is based on. Quality of services, and repairs that last are just to mention a couple of the things that our skilled blocked drain Cambridge technician are focused on when working for you. You can have a quick chat with us by phoning now. 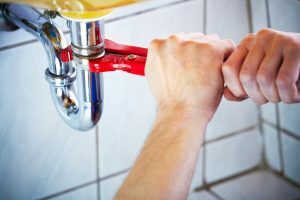 Don’t struggle with slow and clogged drains, instead speak to a qualified plumber drain specialist who can help you get a resolution in place which will leave you with the ability to focus on what is important to you. Modifications, emergency unblocking and much more is what our ready blocked drain Cambridge technicians can help you with at moments notice. Your priorities are our priorities. 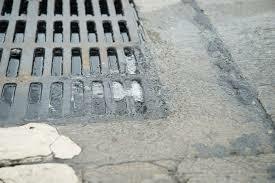 And with years of experience in the field of indoor and outdoor drain clearance. You can rest assured that your blocked drain issue will be resolved to the highest standard. And a permanent solution put in place. So that you no longer need to worry about the issue reoccurring. Fair and competitive rates. A ready and high skilled team. 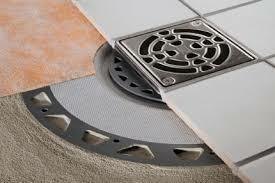 Speak to us now on the topic of your drains and blocked drain Cambridge solutions. Here at blocked drain Cambridge we strive to be the best and over 20 years of experience unblocking toilet, sinks, drains, and who knows what else, we think we’ve picked up a few tips and tricks and a few horror stories along the way. Like the time we went to unblock an external drain on a building site that was filled with cement. We’ve also had toilet blockages just as stubborn, and the worst part about a toilet blockage is 9/10 the homeowner has caused the blockage themselves. We’re going to tell you how to avoid doing the same. You might be wondering why we’d be telling you how to avoid using our service, but that’s because unlike other companies are main goal is not to make a profit but our main goal is to unblock every blocked drain in Cambridge and if we can get a head start by stopping the blockages before they’ve even formed, then we think that’s a job well done from us. So to start looking to prevent a toilet blockage we must first look at what causes a toilet blockage, and most commonly household toilets are blocked by things like sanitary products and paper towels and other things such as cotton ear buds, which are all things you should never be flushing down your toilet. If you’re reading this too late and your toilet or drain is already blocked don’t fret, we’re one phone call away and there’s no such thing as too late to call so don’t wait around! Knowing that there is always someone on hand to respond to your call can significantly ease the stress and pressure caused by a blocked drain. Patricia grew concerned when she discovered that the water in her toilet bowl was rising with each flush, so she called Blocked Drain Cambridge. The team responded to her call within 2 hours and her drains were restored back to normal swiftly and efficiently, meaning Patricia could get on and enjoy the rest of her day with minimal disruption. We understand that it may seem easier to try and fix the problem yourself, but often this leads to bigger problems that are more damaging and more expensive to rectify. That is why we recommend calling Blocked Drain Cambridge for a drain engineer you can rely on for high quality work. Patricia knew she could trust Blocked Drain Cambridge because the team have years of experience in the field, and come highly recommended from clients both past and present. 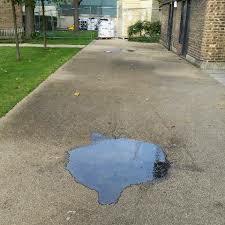 A blocked drain will never go away on its own, so it is important that you call Blocked Drain Cambridge as soon as you notice the warning signs of a blockage to avoid the issue escalating into something further, such as flooding. We value customer satisfaction as our number one priority and we aim to provide every client with the very best service for the best prices. Blocked Drain Cambridge offer genuinely low fixed rates with no additional call out fees or hidden costs, so you will always know exactly how much you’re paying beforehand regardless of how long the job takes to complete. So if you need an emergency drain engineer, call Blocked Drain Cambridge and speak to one of our trained advisors for help and guidance, as well as a free no obligation quote. 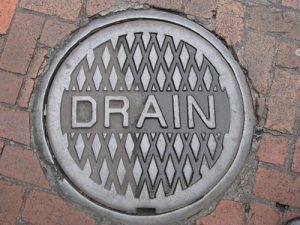 If you’ve come across a problem with your drains, call Blocked Drain Cambridge. 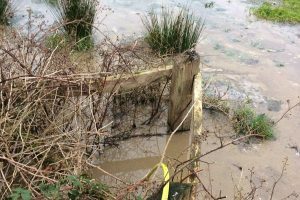 It is important that you call as soon as you notice the warning signs of a blockage to avoid the problem escalating into something more damaging, such as flooding. Call today and speak to a member of our team, who work 24 hours a day 7 days a week. Knowing that there is always someone on hand to answer your call can significantly ease the stress caused by a blocked drain. Last week Peter woke to find that the water in his toilet was rising and couldn’t be drained on flushing, so he called Blocked Drain Cambridge. Here at blocked drain Cambridge, we know it’s never a fun time to find you have a blockage, especially if it’s an emergency blockage. What can you do? You could attempt to clear it yourself but you might find yourself struggling to completely rid yourself of the blockage with household products, and these jobs can often be long winded and smelly. Alternatively you could call your local plumber out, pay his call out fee just to find out he hasn’t got the tools for the job. Don’t do that! Come straight to the blocked drain Cambridge specialist team, there’s no call out fees and we can get to you in an emergency, and get to you fast. With blocked drain Cambridge it’s important to us that we’re flexible to the point where 9/10 times our customers are able to pick a date and a time to suit them and we come and get the job done there and then. With blocked drain Cambridge you’ll never feel alone in your blocked drain crusade, we’re here 24/7 365 days of the year working tirelessly around the clock to ensure the people of Cambridge always have someone to call when they’re in an emergency with a blocked drain. Call our trained office staff today and see if we can’t get someone out to you in a matter of minutes. Don’t mess around, come straight to the professionals, blocked drain Cambridge have got your back. Our team were able to respond to the call within 2 hours and we dealt with the blockage quickly and efficiently, leaving Peter to get on with the rest of his day with minimal fuss. We believe that prevention is the best solution, which is why we always use the best preventative methods and the latest technology to ensure that the problem does not occur again, saving you time and money. Peter knew that he could rely on Blocked Drain Cambridge for the very best service because our team have years of experience in the industry and come highly recommended from both past and present clients. Blocked Drain Cambridge value customer satisfaction as our number one priority, and we aim to provide every client with the best standard of service for the best prices. We understand that it might seem easier to try and solve the problem yourself, but this can often lead to additional unwanted problems that cause more damage and are more expensive to rectify, which is why we recommend that you call Blocked Drain Cambridge. So if you’re in need of an emergency drain engineer, call Blocked Drain Cambridge today and speak to one of our trained advisors for help and guidance, as well as a free no obligation quote. If you’ve come across a problem with your drains, call 0122 366 0726 Blocked Drain Cambridge today. We understand the stress a blocked drain can cause, which is why our team of dedicated, reliable drain engineers operate 24 hours a day 7 days a week so you know there is always someone on hand to respond to your call. Blocked Drain Cambridge offer genuinely low fixed prices with no call out fees or hidden costs, so you’ll always know exactly how much you’ll be paying beforehand regardless of how long the job takes to complete. Most jobs can be completed within an hour, and we guarantee a response time of 2 hours so you can rest assured that your drains will be restored back to normal working condition swiftly and efficiently, leaving you to get on with the rest of your day with minimal disruption. It may seem easier to try and fix the problem yourself, but more often than not this leads to additional unwanted damage and more expense, which is why we recommend calling Blocked Drain Cambridge and speaking to one of our trained advisors for help. Your satisfaction is our number one priority and we aim to provide every client with the very best service at the best prices. Blocked Drain Cambridge believe that prevention is the best solution. And while many blockages are inevitable we always make sure to use the best preventative methods. These methods ensure that the same problem doesn’t occur again. That will make you saving time and money. Blocked Drain Cambridge have years of experience in the industry and our team come highly recommended by both past and present clients, so you know you can trust us for high quality work. Call if you’re in need of a drain engineer. Or if you’re after some friendly advice and guidance. Call Blocked Drain Cambridge today. And speak to one of our trained advisors. Ask for help and receive a free no obligation quote. Blocked Drain Cambridge reliable and friendly drainage services for genuinely low prices and guaranteed fast response. Highly qualified and trained to the highest standards, Cambridge Drain Unblocking can unblock any drain fast. The engineers understand how stressful it can be when you find yourself with a blockage in your home or place of work, which is why they provide 24 hour emergency service 7 days a week, covering both bank holidays and weekends. Having a trusted professional on hand to help in your times of need can significantly reduce the amount of stress caused by an untimely blockage, whether it’s your toilet, sink, shower, drain, bath, dishwasher or washing machine. Whatever the blockage, the emergency plumbing team can fix it. We are offering all manner of drainage services at anytime of day or night. You can call 0122 366 0726 Blocked Drain Cambridge and get a fixed price quote. We will give you a quote on any work you need doing. So you know approximately the price you’ll be paying before the team arrive. Regardless of how long it takes to compete the job. No hidden costs such as VAT or costly call out fees- just honest and clear prices. Almost every home or business owner will experience a Blocked Drain Cambridge at some point. As soon as you notice that your bath water is draining more slowly than usual or there is an unusual smell coming from you kitchen sink- contact the experts straight away. Clearing a blockage as soon as it’s noticed can save you a lot of mess, time and money, so make sure you don’t ignore it expecting it to disappear. 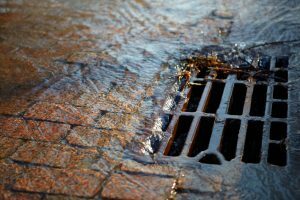 A blocked drain can cause other problems such as a back up or flooding, which can cause detrimental damage to your home. Although some blockages can be avoided, many are inevitable. Blocked Drain Cambridge can work promptly and efficiently to resolve the problem and clear the blockage as soon as possible so that you can continue your day with little disturbance. Offering a complete drain cleaning service for commercial and residential customers in and around the area of Cambridge. Services include CCTV surveys, water main repairs, high-pressure jetting, insurance claims, drain repairs, groundwork and emergency drain cleaning for Blocked Drains Cambridge. All staff are trained to the highest standard and aim to be professional, on time and complete the job at the agreed competitive and affordable cost. If you notice gurgling coming from your bath, the sink is draining especially slowly or there is an unpleasant odour coming from the kitchen sink then the chances are you have a Blocked Drain Cambridge. Unfortunately, you can’t just cross your fingers and hope it goes away. By ignoring it, the problem will only get bigger if you decide not to take immediate action and you could be left with consequential problems such as burst pipes and even flooding. The taxpayer pays out hundreds of thousands of pounds each year for sewer repairs and this could be halved just by making small changes to the way we do things at home. It is also detrimental to the environment when waste is disposed of incorrectly, so make sure you know what not to pour down drains. 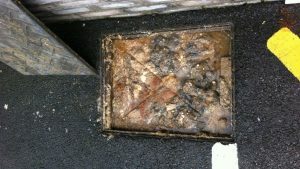 Blocked drains are a massive hassle in anyone’s life. Whether you need to get to work, or have family coming over, or are about to go on holiday – you need a solution to your problem fast! That’s why Blocked Drain Cambridge works to be with you within 2 hours of your initial call and do what we can to work quickly whilst remaining safe. But there is hope, as there are many things you can do to prevent a blockage from occurring in the first place. Many blockages in sinks and showers are caused by hair and food, but there is a very easy solution to this problem – by simply purchasing a drain catcher and placing these in your plugholes, you can catch the potential clog before it even reaches your pipes. Simply fish out the hair and voila, your problem is solved. 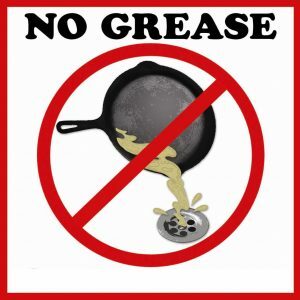 In kitchen sinks and dishwashers more issues are caused by bui ldups of fat and grease from cooking. Instead of washing your plates and pans straight into the sink, be sure to scrape away any excess foodsruffs into your bin. Fats, for example from cooking oils or meats, should be left to solidify and then scraped into the bin. This will ensure that they do not solidify in your pipes, which can cause very large blockages. 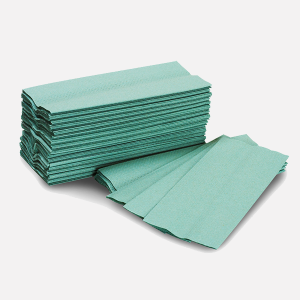 When it comes to your bathroom, be sure to only flush toilet paper down your loo. Kitchen roll, baby wipes or sanitary products are not designed to be flushed, and will cause your toilet to intensely clog and often flood your bathroom with toilet water. This is very unsavoury and so you should avoid this by following our simple steps. And finally, regularly inspecting your drains is highly encouraged. This allows you to see problems whilst they are small, and means you can work to resolve any issue by calling Blocked Drain Cambridge before a larger problem happens. Explore our site for more handy tips, or call one of our trained advisors today!